Pink Babies First Christmas glass bauble. Remember this magical occasion by personalising the bauble with stunning glitter calligraphy. This beautiful glass christmas bauble has frosted snowflakes painted on the outside. It changes colors with an LED light up christmas tree located inside the bauble and colors range from purple to reddish orange. This is a Magical clear glass rainbow bauble that has frosted glitter rings. Perfect as an individual personalised gift with stunning calligraphy or as a set of decorations. The Perfect Christmas decoration that will twinkle on the tree. This bauble comes with the message of your choice handpainted with stars and dot decorations. High quality shatterproof plastic Christmas bauble. Great to give to kids or use on your Christmas tree. Customise with a name to celebrate a year or an achievement or commemorate a loved one. You can even get your pets name and hang it on the tree. Lovely Green glass bauble featuring a classic Snowman. 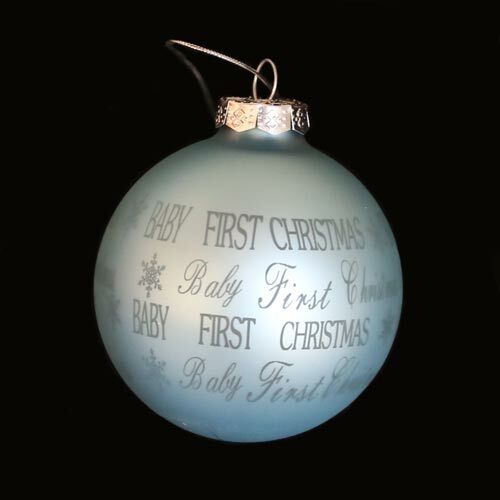 Unique personalised bauble that is a meaningful, lasting and of high quality Christmas gift. Green glass Christmas baubles with multiple snowman dancing around the bauble. Personalise the bauble for a thoughtful Christmas gift. A very Christmas looking Santa scene transposed on a plain bright blue background. The plain background makea a great canvas for a personalised name and message. This bauble comes in an attractive cardboard packaging, you can also choose to have it gift wrapped and shipped directly to your friends and loved ones. Clear plastic shatterproof bauble with pink feathers inside. You can personalise, celebrate, commemorate, or appreciate with any custom message you want.